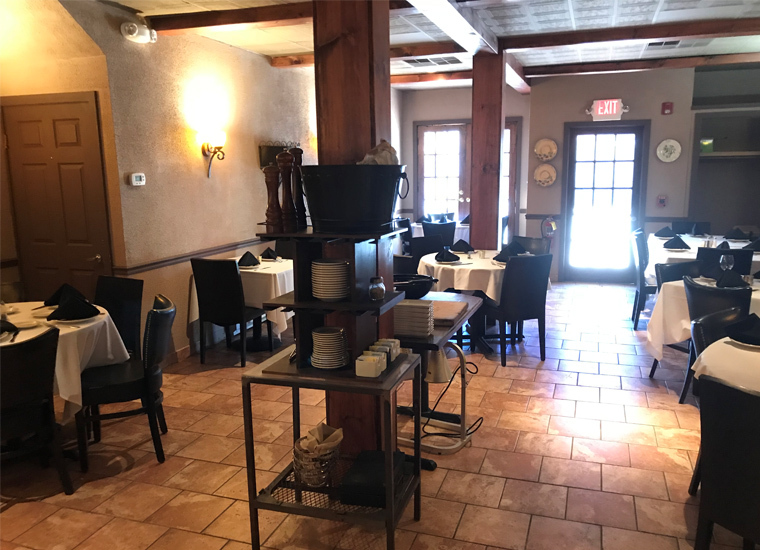 With a long-standing reputation for delicious cuisine, Anthony's of Drexel Hill is pleased to expand to this lovely new location. 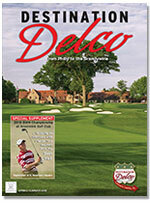 Please join us for fine food and drinks overlooking the beautiful grounds of Paxon Hollow Country Club. Opened to the public in March 2013, their beautifully renovated location showcases spectacular views while you unwind with a cool drink and delicious food. 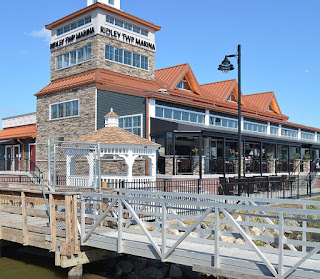 Open daily for lunch and for dinner, Anthony's At Paxon offers a wide, family-friendly selection of homemade pasta dishes, freshly baked brick oven Pizzas, fresh seafood dishes, gourmet salads and other Anthony's signature recipes. To keep our menu fresh and fun, they also offer a unique selection of daily specials. Originally the family had owned and operated The Dining Car in Philadelphia, a 24 hour, 7 day a week diner/restaurant and bakery for 54 years. 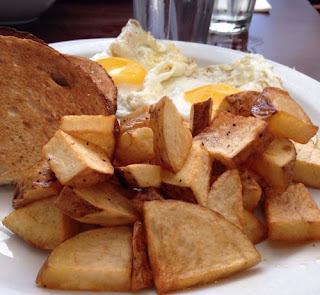 The Apple Walnut Cafe is a true scratch kitchen where Chef Larry Thum creates all of our signature dishes. Creamed Chipped Beef, Chicken Croquettes, Crepes Florentine and French Onion Soup are only a few of the dishes that have been famously featured on numerous Television shows, including Diner’s, Drive-in’s and Dive’s, Newspapers articles and cookbooks. Open every day, 7:00 am – 2:30 pm. But don’t be late, kitchen closes at 2:30 pm. Featuring our eponymous Apple Walnut Pie. In every dish they serve, only the freshest ingredients are used. They make all of their soups, sauces and dressing they serve from scratch, right here in our restaurant, with the finest ingredients available. If you ever are disatisfied with the quality of any food they serve, just let your server know, and we'll make it right. It may sound old-fashioned, but they insist on treating our customers the way they would want to be treated. That's the Barnaby's Way! Homey cafe featuring an eclectic lineup of New American chow, including all-day breakfast & lunch. Winner of a Best of Philly award and a 2016 Wine Spectator Award, this restaurant is a must-do! Located about half a mile from the historic Brandywine Battlefield and the famous Brandywine River Museum of Art, this restaurant is housed in beautifully restored 1703 stone cottage. The ambience is elegant and menu is upscale. 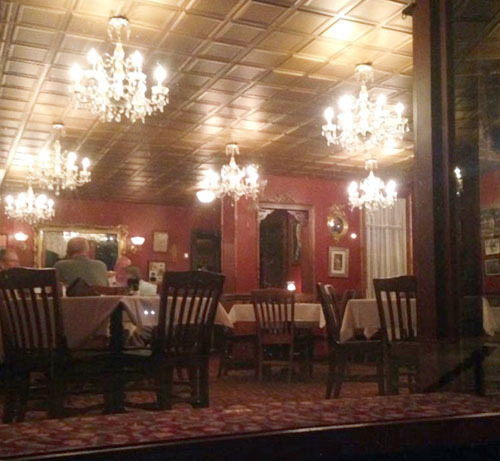 The chef offers traditional American fare with outstanding chops, steaks and seafood. He surrounds the meats with organic produce from his own garden and his wine list is premier. In fact, the managing partner, Michael Majewski, got his start in wine in the early 90’s at Griglia Toscana as apprentice to Italian wine expert Frank Splan. As Frank’s co-pilot, Michael traveled extensively in Italy, France and Germany, and California visiting the small, artisan farmers and wine makers that rarely leave the ranch. It addition to our well priced wine list guests are welcome to bring their own bottle for a $6 corkage. 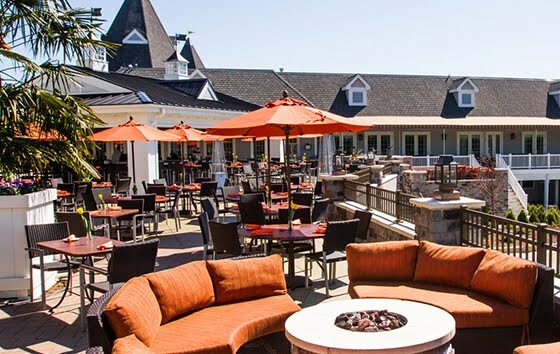 Sunday brunch is always bustling and dining on the outdoor terrace whisks you back in time to Chadds Ford’s historic past. 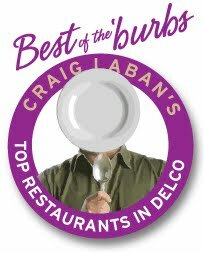 Three Fabulous Honors — by a Delco Fave with Two Locations! 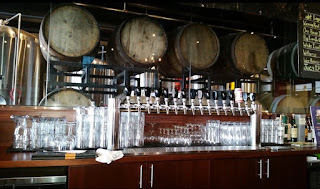 The Brick & Brew was featured on 6ABC FYI Philly! It was named Best of Philly 2016! And was also named 2016 Best of Main Line! Whether you're closer to Media or Havertown, Brick and Brew has you covered! 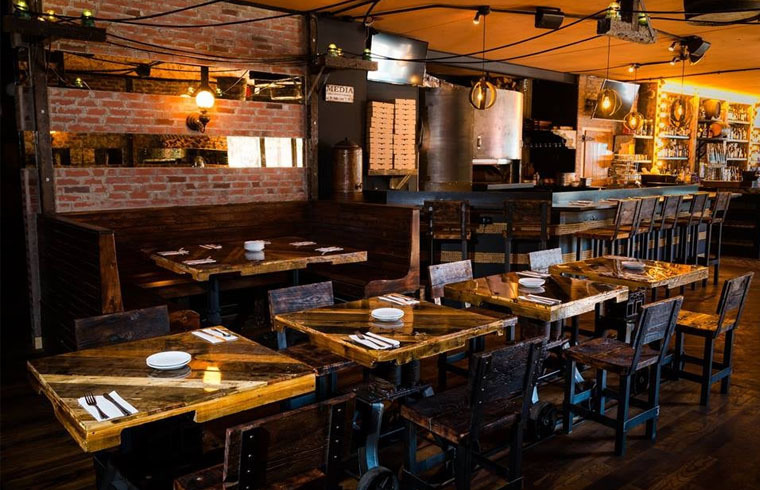 Swing by this popular gastro-pub and enjoy an eclectic display of dishes, from a tantalizing array of American tapas, perfect for sharing, to hearty sandwiches and burgers, and a variety of innovative thin crust pizzas from their wood-fired brick oven. Chalk Board Specials are featured every night and available until sold out. 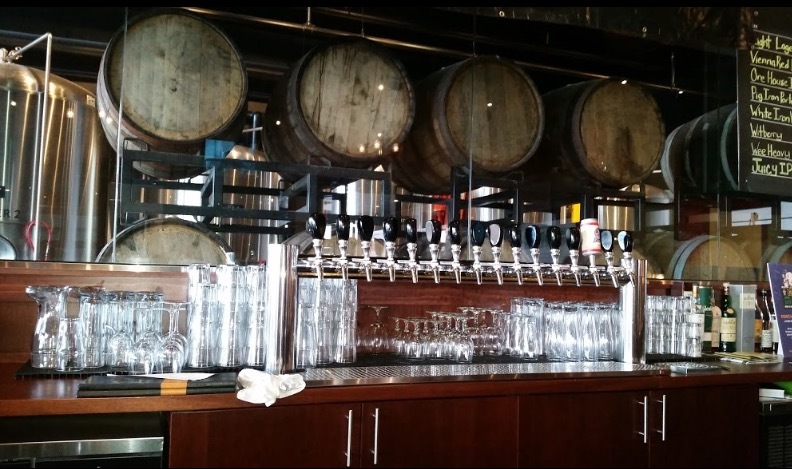 Their bar celebrates artisanal craftsmanship, offering a 12-tap rotating craft beer selection along with an extensive bottle and can list. If whisky and wines are more your thing, choose from a vast selection of American and world whiskies, or an extensive wine list showcasing varietals primarily from California, Oregon, and New York. And cocktails galore from a specialty menu – who could ask for anything more? 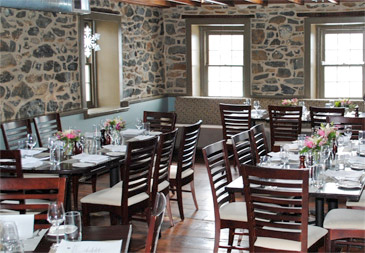 Broad Table Tavern, one of the area’s newest restaurants, is located on the grounds of Swarthmore College and the renowned Scott Arboretum. In keeping with its educational and natural garden environment, the restaurant takes pride in offering authentic farm to table dining. Executive Chef Keith Ahern, firmly committed to showcasing locally sourced ingredients and regional artisan products, has designed dynamic, creative menus reflecting the changing seasons. Broad Table celebrates its partnership with the local farms, vineyards, breweries, and purveyors who share a vision for serving only the finest flavors and quality possible. 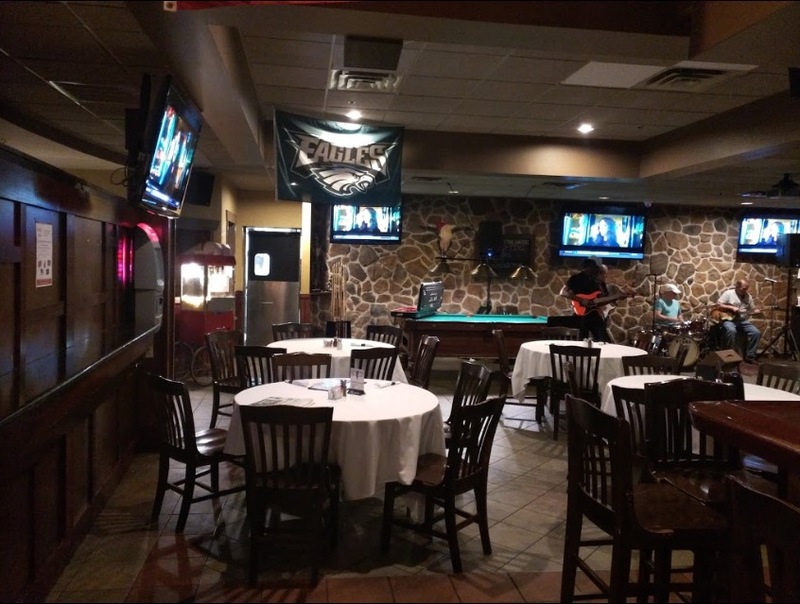 Offering a friendly atmosphere, warm staff, approachable beverage selections, the Tavern is the ideal gathering spot for family, friends and colleagues. It is located within walking distance of nationally acclaimed Swarthmore College, and is convenient to the Philadelphia International Airport and to downtown Philadelphia as well. Breakfast, lunch and dinner are served every day. Cajun Kate’s offers authentic N’Awlins specialties not found anywhere else in the area. Don’s recipes for jambalaya, red beans and rice, and his special gumbos (a different variety each weekend) are sure to please anyone who’s ever eaten in the Big Easy, or anyone who’d like to. Crawfish pies and Crispy Cajun Mac ‘n’ Cheese (it’s deep-fried!) are favorites of the many regulars who stop in every weekend. 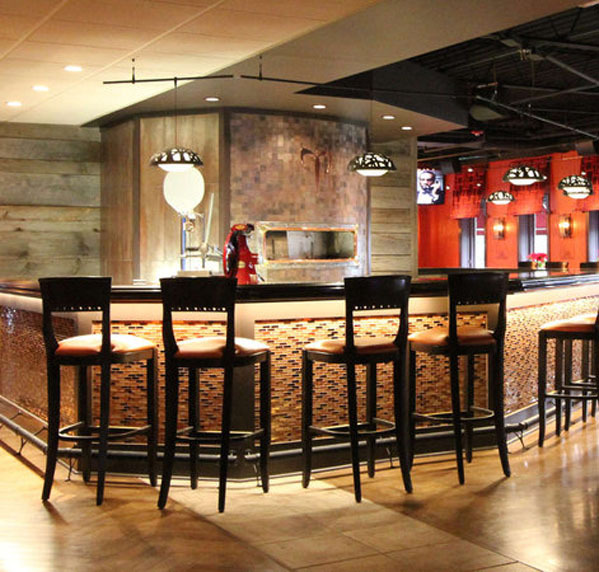 Casey’s Public House in Newtown Square offers all American cuisine serving lunch & dinner seven days a week. 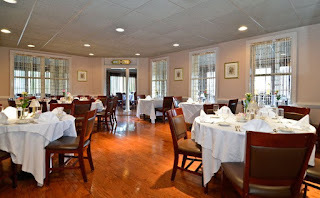 They pride ourselves in quality, homestyle meals which include Pastas, fresh seafood and classic beef cuts -- and are especially known for juicy prime rib and homemade lump crab cakes. 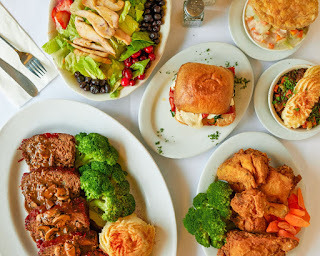 Great appetizers include Baked French Onion Crock and Firehouse Chili...and a Sharing section of items include Oysters on the Half Shell, Broccoli Cheddar Bites, Coconut Shrimp and Buffalo Chicken Cheesesteak Fries. Popular entrees feature BBQ Baby Back Ribs, Oven Roasted Turkey and stuffing, Fish Tacos, and a Chicken Pot Pie that will trick into thinking your mom is in the kitchen...simply outstanding! 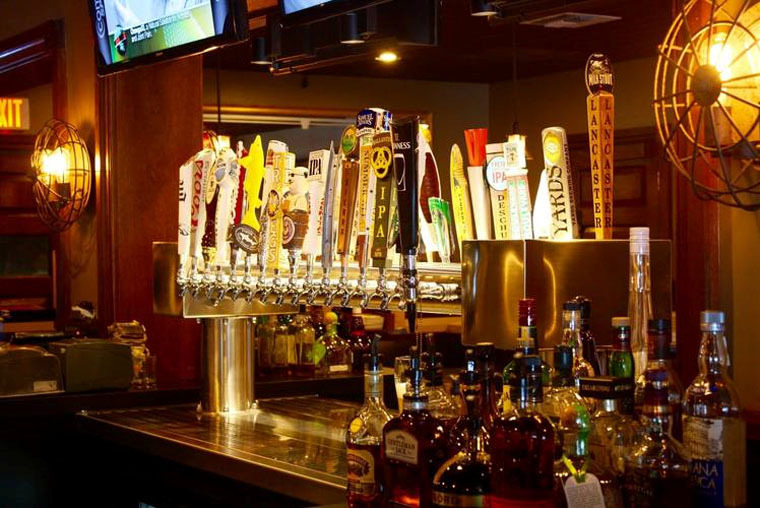 Whether you are looking for great food, a cocktail, one of our 25 rotating draft beer selections, or to meet old friends and new ones, you have found the best place close to home! 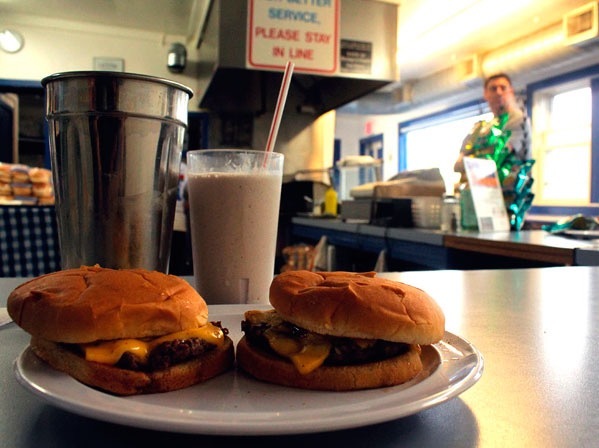 Made-to-order burgers & classic milkshakes from an old-school institution dating back to 1935. 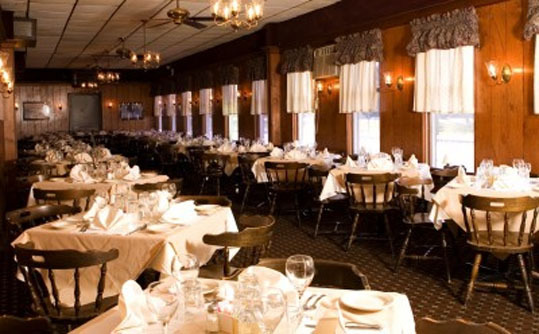 Since 1981, Charlotte's Restaurant has been serving the western suburbs of Philadelphia with excellent food, prompt service and memorable dining experiences. As a family run restaurant, their attention to detail and passion for their craft is unmatched. Whether you are having a large gathering, a quiet dinner for two or eating out with your family, Charlotte's is always an excellent choice. The Lunch menu sections include Open Faced Sandwiches, Seeded Bread Sandwiches, Double Decker Sandwich Combos, A Clam Bar, Omelettes, Salads, Pasta, Meats/Poultry & Veal Entrees, and Seafood Specialties. 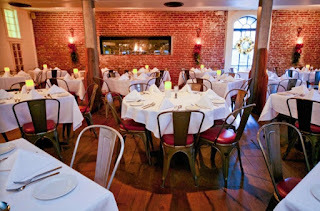 The Dinner menu is very extensive with great appetizers, classic favorites like Potato Crusted Scottish Salmon, Charlotte's Famous Crab Cake, Broiled Jumbo Sea Scallops, Grilled Prime Lamb Chops, and your choice of chicken or veal Marmesa, Piccata, Marsala and Saltimbocca. Today this restaurant is just as famous – but now it’s for delicious cuisine served in a cozy, beautiful Brandywine Country setting. The historic Inn has been a family run business for years offering remnants of old fashioned tradition combined in newly renovated dining rooms, an upbeat bar & grille, and on a sunny outside rooftop terrace. 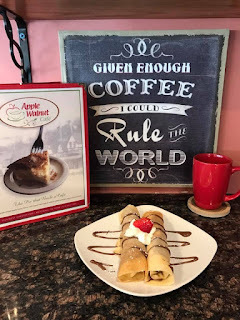 The menus for both lunch and dinner are outstanding with dozens of popular items - and be sure to end the meal with one of their sin-sational desserts like their Dutch High Apple Pie (served warm and topped with crunchy strudel pieces!)........ for $6. Chocolate lovers MUST order the swoon-worthy Dark Side of the Moon (rich fudge cake soaked with coffee liqueur, filled with chocolate mousse and laced in whipped dark chocolate ganache, topped with a chocolate crescent moon)........ oh my! Just $7.50. Lunch entrees average $7.50 to 18; Dinner appetizers are $5 to 11; sandwiches and paninis are $10 to $15; pasta dishes and entrees run $18 to $30. Located in the heart of Delaware County. Serving breakfast, lunch & dinner & late night snacks. 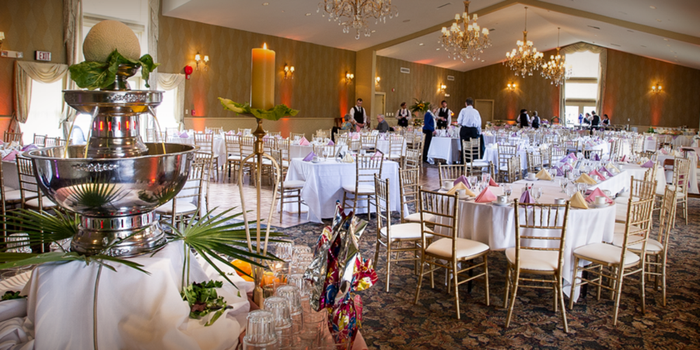 Banquet room accommodates from 10 to 150 people. Meeting rooms available. New!!! Try our "broasted chicken" marinated and pressure fried with crispy coating, in trans fat free oil. Special 8 pieces for $10.99 or jumbo wings 20 for $14.99. buffalo wings, griilled steak burgers, wraps, grilled panninis, italian style roast pork sandwiches, steak sandwiches & hoagies. Also the moussaka (baked eggplant, potatoes, ground beef and tomatoes), spanakopita (baked spinach and feta cheese pie in phyllo dough), pastitisio (baked macaroni pie with ground beef and tomato sauce), and souvlaki (grilled chicken kabobs). Or order the classic comfort foods you crave, such as pot roast of beef, roast leg of lamb, broiled flounder, salmon or tilapia fillet. The re-imagined and renovated Steakhouse features classic dishes with the freshest ingredients, an extensive wine list and amemorable experience. Choose from a wide variety of steaks and prime rib or indulge in your choice of the freshest seafood from the Raw Bar. The Raw Bar features items like Snow Crab Claws, and a Chilled Seafood Tower. Meats are grilled to your liking including a 16oz Bone-in Dry Age KC Strip, an 8oz Certified Angus Filet, 16oz Rack of Lamb and a sensational 12oz Leidys Pork Chop. And entrees include a luscious Pan Roasted Griggstown Farm Chicken, an American Wagyu Burger, Wild Mushroom Ravioli, Pan Roasted Lancaster Duck Breast and Cape May Day Boat Scallops. Dine inside or remain in the comfort of your vehicle while picking up your favorite items. The Farmer's Road Drive Thru is located in a former KFC location. Our drive thru lane is lined with carbon reducing plants and flowers. Showcasing an open kitchen with a 100% wood-fired grill, Firepoint offers an eclectic menu filled with rich, natural flavors. Enjoy garden-fresh cocktails, seasonal craft beers, and diverse wines alongside our chef-inspired menu in a warm, inviting atmosphere. 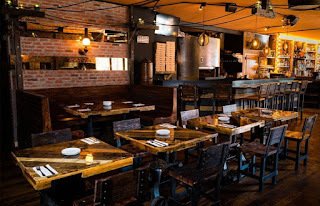 Specialties include Burgers, wood-fired Rotisseries and Steaks, and Main Plates like Tuna Nicoise, Whiskey glazed Shrimp, and slow cooked Boneless Short Ribs served with Sweet Shallot Jam, red wine, mashed potatoes and green beans. A longtime favorite of visitors and locals alike, The Gables is in the heart of the beautiful Brandywine Valley, conveniently located on US Route 1. 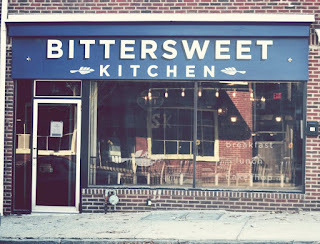 Their combination of rustic yet elegant charm, cuisine blending European style with a touch of Southern flair, plus a creative and well executed menu designed around fresh, local and seasonal ingredients will have you coming back time and again. 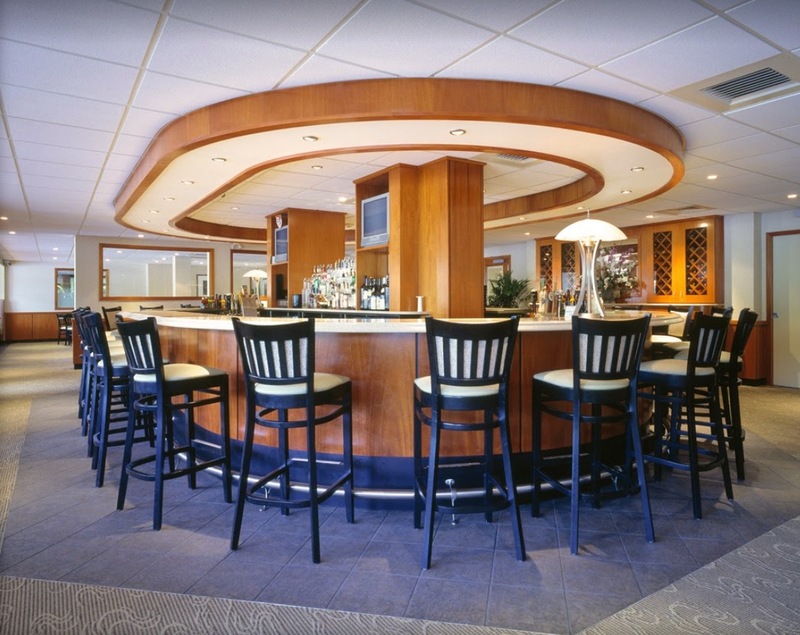 The Gables boasts a new bar menu, delightful outdoor dining and spacious banquet facilities. Featured in County Lines Magazine Best of the Best 2016, the restaurant welcomes you Tuesday through Sunday for Brunch and Dinner. This is an American pub housed in a quaint older building that oozes with charm and a wonderful ambiance. 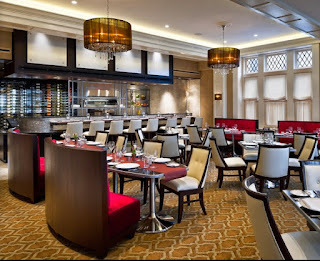 The staff is warm and welcoming and the upscale casual menu features a wide variety of excellent food including melt-in-your mouth filet mignon, gigantic broiled scallops, delicious crab cakes and savory onion soup. Gas Light also features Stonegrill Dining -- a new and exciting dining experience that allows many steak and seafood items like ribeye steaks to Mahi Mahi to be presented at your table, while still cooking on a heated stone. High temperature searing locks in all the natural juices and nutrients, giving you a taste beyond anything you've ever experienced before. The process allows you to enjoy a meal freshly grilled to personal taste, whether it is rare, medium or well done. Your meal will remain hot and enjoyable allowing you to dine at leisure. Read more about it on their website by clicking below. Historic notes…The building now occupied by the restaurant was constructed in the late 1920's and was first home to several businesses. The Gas Light opened on the 9th of August, 1967. Renovations included wood, windows and many other items rescued from homes, schools and churches of Old Ridley Park. The solid walnut in the front room is from George Hetzel's magnificent home...the stained glass windows are from St. Madeline's Catholic Church, the Methodist Church, and from local homes that have been demolished -- and the two brass gas and electric chandeliers near the bar are from St. Madeline's Convent. 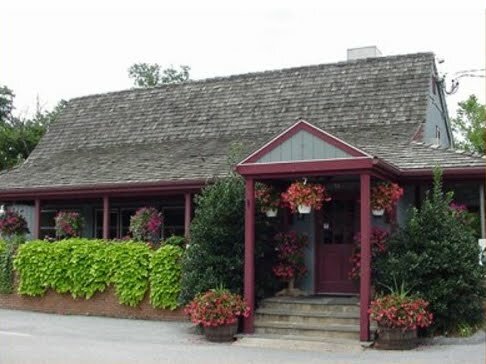 The large barn red beam in the arch that separates the bar from the dining room is from the original entrance to Tome Street School and the black iron fireplace frame is from one of Stoneybrook's artist cottages. Photographs of Ridley Park officials, firemen, school children, homes and local historical sites line our walls and honor those who have called Ridley Park home. Glenmorgan Bar & Grill offers a contemporary and refreshing smoke-free atmosphere perfect for enjoying classic cocktails, spirited American cuisine and great conversation. 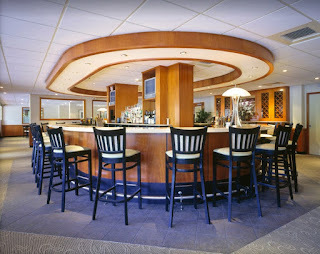 Choose a spot at the 28-seat oval bar or get comfortable in the grill for lunch, dinner or late night. This is a fun casual foodie hangout where guests get to taste Fieri’s signature cuisine, featuring daring flavors and unique twists on traditional dishes. Open daily for lunch, dinner and late-night dining this restaurant offers a delicious blend of casual foods, including an extensive variety of burgers, wings, tacos, small bites and shareable food items. GFPKB also offers a diverse beverage selection including a California influenced wine list, a creative collection of signature cocktails, and craft beers. 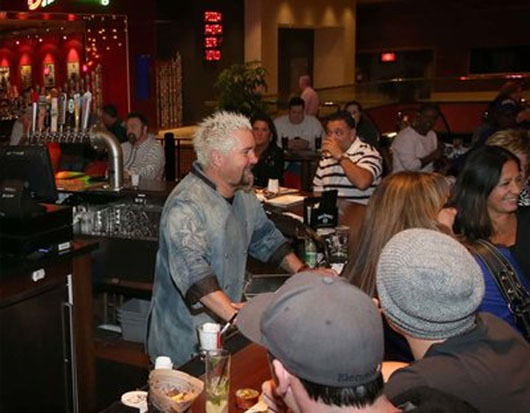 Enjoy your favorite sports on game day and take a ride to Flavortown to experience this one of kind restaurant! Must be 21+ to enter (located on casino floor). ...the place "where hungry people eat and friendly people meet!" This newly remodeled restaurant has been in business for 16+ years because it perfectly blends rustic charm and top notch home-style cooking. 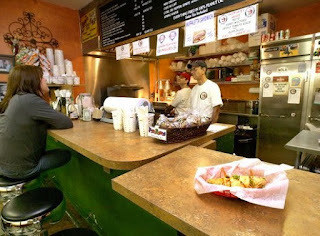 Everything is made fresh right on the premises and their breakfast, lunch and dinner menus are sure to include some of your favorite foods! Breakfast fare includes Eggs Benedict, Poached Eggs Cordon Bleu (topped with their signature chipped beef!) and Voula's Corned Beef Hash and Eggs (a generous portion of grilled imported Brazilian corned beef with a specially blended mix of herbs and leeks). The Smoked Norwegian Salmon Sandwich will torment your tastebuds in all kinds of delicious ways...and their famous Frittatas are served until noon and all day Sunday. The Lunch and dinner menu includes fabulous large salads, tasty hot and cold sandwiches, a delicious Kennett Square 8oz Steerburger, plus steaks, fried chicken, crab cakes, jumbo fried oysters and fantail shrimp. Desserts are just plain awesome from the Apple Crisp with home made whipped cream to their melt-in-your-mouth Bread Pudding and in season, don't pass up a chance to have Hank’s specialty – FANCY STRAWBERRY PIE! This restaurant works with over 75 local farmers to source the freshest and best quality products available and their mission of sustainability and green living extends to every facet of the operation, beyond the menu to the décor and choice of cleaning products. Along with their numerous tempting dishes, you can enjoy your favorite beers, wines, and cocktails in an atmosphere that is upscale yet casual and friendly. And, most of the entrees on their comprehensive menu are under 500 calories! At Iron Hill Brewery & Restaurant we're passionate about producing distinctive, full-flavored handcrafted beers, accompanied by fresh–from–scratch New American cuisine in a comfortable, casual atmosphere. Our goal has always been to provide food and beer that is inspired, consistently crafted and presented by a knowledgeable and courteous service staff. …famous for its Electric Trains and its Frankfurters! Families love the great pricing, the kid-lovin' menu and amazing Electric trains that chug along the ceiling. But moms, dads, teens, and tourists all love the menu as well! They serve more than 100,000 hot dogs a year plus hot sausage, burgers, cheesesteaks, and pulled-pork BBQ sandwiches. Try their melted ham and cheese sandwich, grilled chicken filet, chicken nuggets, or get ‘all aboard’ for one of their famous Sloppy Joes! And you'd be hard pressed to find better homemade chili and soups. Nothing beats the taste, but the prices come close with all dogs and burgers and sandwiches costing from $2.25 to 6.99. And the triple threat is the Triple Crown Meal for just $ 6.75 -- a Jimmy John’s special frankfurter loaded w/ chili, cheese & bacon! 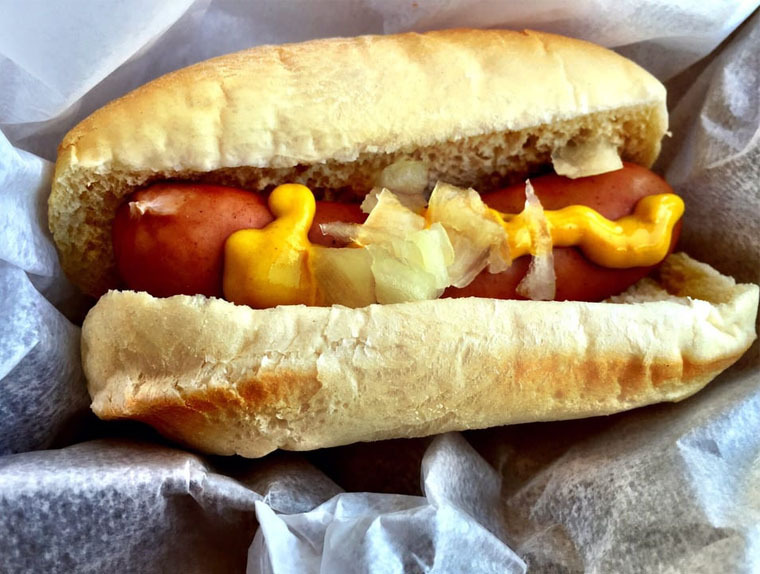 A full kid’s meal is just $3.95 for a skinless hot dog or chicken nuggets, small fries, and a kids drink! Lehman’s serves a variety of fine foods and spirits featuring creative appetizers and luscious entrees like Filet Mignon, Prime Rib, Rack of Lamb, Grilled Pork Chops, Lobster Tails, Alaskan King Crab Legs, Surf and Turf as well as many popular Italian Specialties. 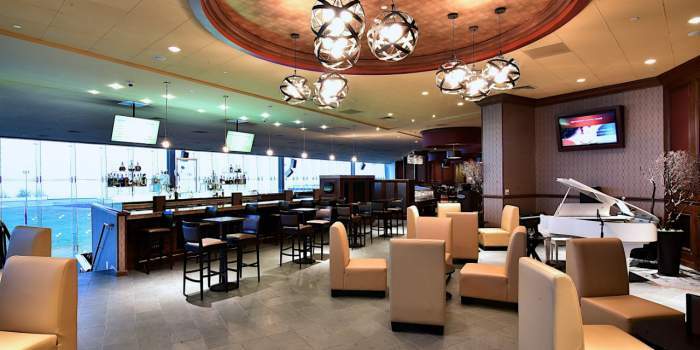 Plus it is also the ONLY area bar and restaurant near the Philadelphia International Airport that provides a shuttle service to 18 hotels in the immediate surrounding area - after 5pm. Call them at 610-521-1822 to schedule the service. They also offer customized menus for private parties and bus tours, business meetings and holiday parties. They can accommodate up to 100 people. …its footprint is small but its food is mighty good! The Lobster Eggs Benedict is a real treat and the egg sandwiches beat fast food hands down! There are chalkboard specials every day and while it looks tiny on the outside, locals call it cozy...and so will you! Lunch boasts a variety of sandwiches and salads, and the chicken salad is fresh-made and simply great. Closing time is 2pm so get there early. They accept cash only, but there's an ATM inside! Hours: 6:30am to 2pm, 7 days a week. 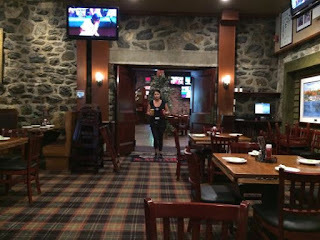 P. J. Whelehan’s Pub and Restaurant - NEW! 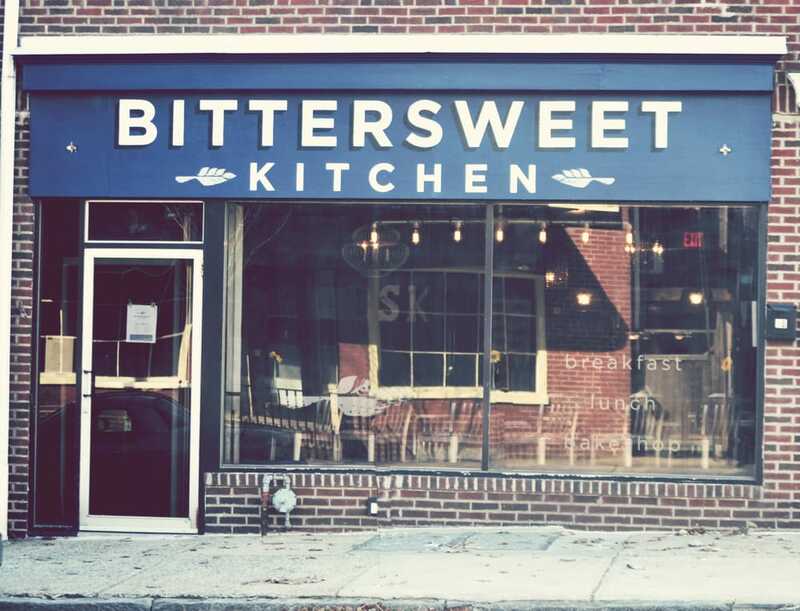 There’s a fresh new face on the food scene in Newtown Square! P.J. 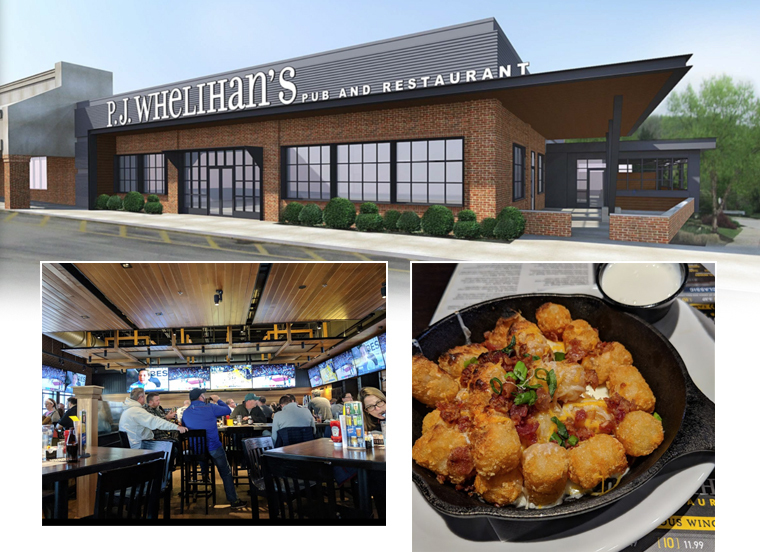 Whelihan’s Pub and Restaurant recently opened on West Chester Pike in a newly renovated, 7,000-square-foot space featuring a cool modern design and 50+ TV screens so customers can ‘stay tuned in’ while enjoying great food, music, games and more. There’s an outside patio, a party room and even a fun FOOD TRUCK for off-site catering. Beer and cocktail specials abound, and you’ll want to match them up with tasty treats like their famous wings, chili and seasonal specials. For a fiery feast, start out with their Southwest BBQ Bacon Bomb Fries – then wrap your hands around the Jersey Devil Burger, topped with a fried egg, pepper bacon, sriracha mayo, and smoked cheddar. Whether you’re grabbing a quick business lunch, having drinks with friends or enjoying dinner with the family – you’ll have a great dining experience! Everybody’s talking about Prime on the Avenue, a great steak house that lives up to its name! And living up to its name, customers are enjoying a menu that features outstanding PRIME Rib, PRIME Steaks, and PRIME Seafood! 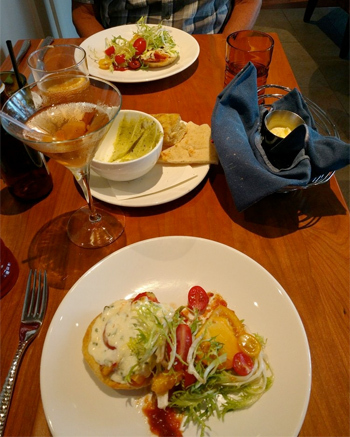 Entrees are accompanied by a spinning bowl salad which is made tableside, and the bar features lively entertainment by dueling pianists along with a great happy hour menu with tasty $5 choices. There are also several private dining options for business and social events. They have an Event Coordinator and Executive Chef who will both assist in creating a custom designed menu featuring the finest American, Italian & Seafood Cuisine. ENJOY THE LIVE PIANO MUSIC FROM THE AREA'S PREEMINENT PIANO PLAYERS/SINGERS FOR A LIVELY SHOW EVERY THURSDAY THROUGH SATURDAY NIGHTS. 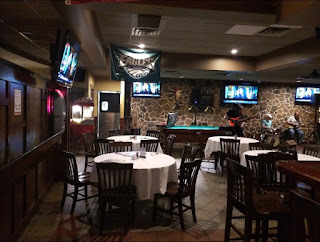 The Riddle Ale House has been family owned and operated since 1962, serving Casual American Cuisine w/ Italian influence; appetizers, homemade soups, salads, entrees, and specializing in Hand Carved Roast Beef Sandwiches. But it doesn’t stop there because they have something for everyone! They have a gorgeous, tender and flavorful Prime Rib, Fresh Seafood Dishes, Pub Fare, Burgers, Wings and so much more! 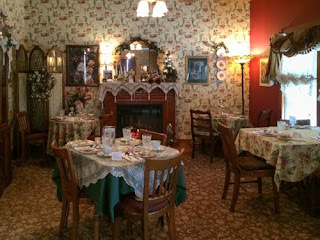 Known as one of the best and most elegant Tea Rooms, Special Teas Tea Room offers a wide selection of menu items and an extensive selection of tea. 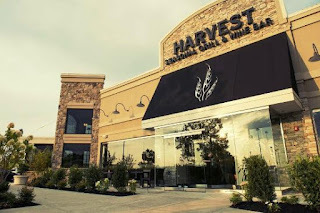 It is located in the Chadds Ford area and is open Mon - Sat afternoons, with Sundays reserved for special events. Spend time with friends, old and new. And now there are two! Enjoy indoor and outdoor dining overlooking the golf course at Springfield Country Club! Our variations on classic Italian and American dishes are complimented with a reasonably priced wine list featuring both Italian and American wines. 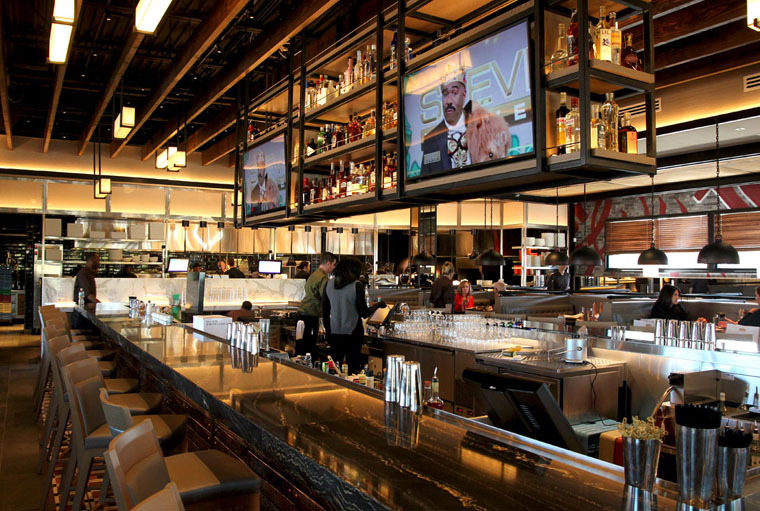 Tavola's bar features a wide variety of martinis and microbrews to sip while enjoying a light bite. 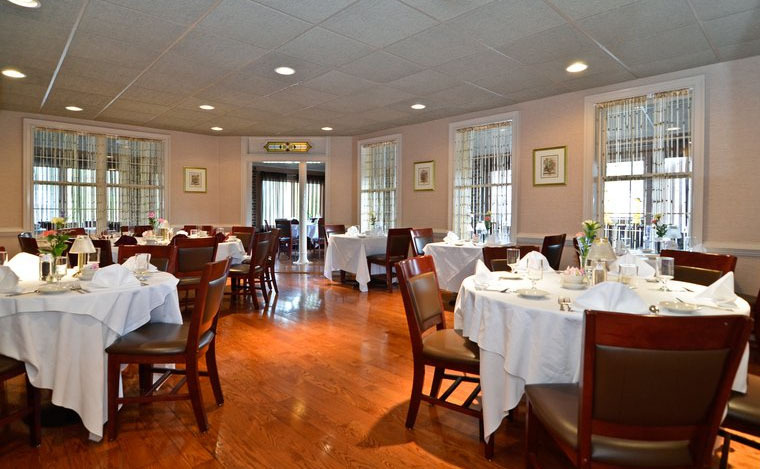 The name Guadagnini has long been synonymous with fine dining in the Delaware Valley. Owners Alberto and son Roberto have teamed with Executive Chef/proprietor Chris Scarduzio, formerly a partner in the iconic Georges Perrier restaurant empire, to bring Teca to Newtown Square. This unique eatery blends old-world Italian dining with a new-world upscale-casual twist. They offer an engaging and fun atmosphere and al fresco dining on a lovely terrace on the second level. The chef works closely with many local farmers, winemakers and distillers, showcasing some of the freshest seasonal products in the area. The menu includes daily specials like zuppa del giorno, burrata del giorno, and whole fish del giorno, and, of course, local mushrooms from the mushroom capitol of the country – Kennett Square! Feeling thirsty? Sample one of their tempting summer cocktails, such as a jalapeno margarita, the popular Sorrentino, an aperol spritz or a Teca tea. It is open for daily for dinner, as well as Saturday and Sunday brunch. There are also private rooms accommodating between 50 and 150 people. Restaurant.. Beer Garden. Take out.